The man who police say told them he started a fire in his West Seattle Junction apartment Sunday morning is now charged. One count of first-degree reckless burning was filed today against 31-year-old Andrew D. Morales, and his bail was raised to $125,000, half what prosecutors requested. In the charging document, they note, “Although the defendant has no apparent Washington criminal history, he has a notable arrest and conviction history in New Jersey, including felony convictions in 2007 for Felony Aggravated Assault on Law Enforcement and Felony Possession CDS /Analog – Schedule I, II, III.” (In NJ law, CDS = Controlled Dangerous Substance.) Otherwise, the charging document has the same narrative we reported after Morales’s bail hearing Monday, that he told firefighters and police he had set the fire because there were “snipers” in his apartment and that he believed doing so had saved others from them. Once again, West Seattle Quilters have made a quilt to support the West Seattle Senior Center. Raffle tickets are $1 each and sales begin July 13 at West Seattle Summer Fest outside the Stop ‘n’ Shop. After Summer Fest, you can purchase raffle tickets at the Senior Center reception desk. All the ticket money goes directly to the Senior Center. The drawing for the winner of this year’s quilt will be held on Friday Sept. 28, 2018, at 8:30 pm during Rainbow Bingo. You don’t need to be present to win. The handmade quilt is a months-long effort by 28 people. This year’s quilt is titled “Stained Glass,” and the design features fractured squares that shimmer against a modern gray backdrop. This throw-sized quilt is the perfect size for your sofa or a nap! West Seattle Quilters meet at the Senior Center on the first and third Mondays of the month at 7pm to share quilting ideas and projects. Quilters of all ages, abilities, and quilting styles are welcome to join us! GIANT GAMES: And on the northeast corner of California/Oregon, one of this year’s new Summer Fest features – Giant Games! The festival website has the list of 11 games you’ll be able to play for free. Another reminder that festival hours are 10 am-6 pm Friday and Saturday – music and beer garden running later both nights – and 11 am-5 pm Sunday. Still more previews on the way! You can shop the High Point farmstand every Wednesday through September. If you usually head southbound on 35th SW through the High Point/Gatewood area, you might consider waiting or detouring. That tour bus didn’t have enough undercarriage clearance and got stuck at SW Holly, with its front end protruding into the southbound side of 35th SW. A tow truck is on the way, police told us, but it’ll be a while. Amy sent the photo, wondering about that state ferry’s eye-catching maneuvers off Alki. MarineTraffic.com id’d it as the Suquamish, which has been under construction at Vigor on Harbor Island – where it was christened in January – so we checked with them. Spokesperson Athena Maris says the Suquamish was out on sea trials, and is expected back out early tomorrow morning, starting around 7 am. It’s expected to join the WSF fleet later this year. 2:24 PM: If you have to travel on Beach Drive SW south of Jacobsen, consider waiting a bit. There’s a Seattle Fire response blocking the road for a natural-gas leak in the 4800 block (here’s a map of the vicinity where it was reported). According to SFD communication monitored via scanner, a line was not punctured; it’s a “small leak” and they’re working to shut off the gas while awaiting Puget Sound Energy. 2:57 PM: Per the incident log, all SFD units have closed out of the call. Every summer, two honorees are chosen to ride toward the start of the West Seattle Grand Parade – the Grand Marshal (as announced earlier this week, Lora Swift) and the winner of the Orville Rummel Trophy for Outstanding Service to the Community. 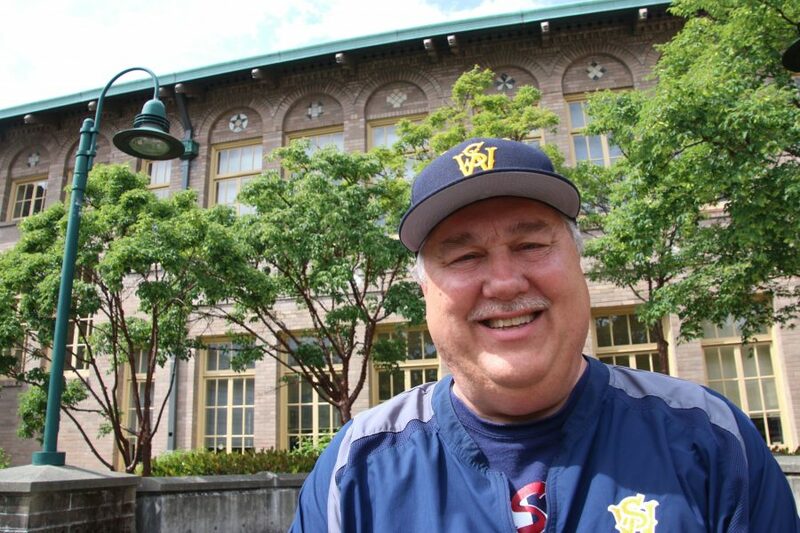 This year’s Orville Rummel Trophy recipient has just been announced: Velko Vitalich, best known as West Seattle High School‘s baseball coach for 31 years – a run that just ended a year ago. Coach Velko’s retirement didn’t start then, though – he stayed on at WSHS (his alma mater, Class of 1973) to coach golf this past season. He’ll be formally presented with the trophy at next Tuesday’s West Seattle Big Band Concert in the Park (co-sponsored by WSB), 7 pm July 17th on the east lawn at Hiawatha Community Center, and then you can cheer for him as he rides down the parade route four days later, on Saturday, July 21st (starting at 11 am, southbound on California SW from SW Lander in Admiral to SW Edmunds in The Junction). The parade is presented by the West Seattle Rotary Service Foundation and coordinated by local volunteers. 1985: RB Chris Crisler Jr.
LOW-LOW TIDE WITH BEACH NATURALISTS: Another round of low-low tides has begun – lower than -3 feet the next three days! Today’s tide has already bottomed out but Seattle Aquarium volunteer beach naturalists are out at Constellation Park (63rd SW/Beach Drive) and Lincoln Park (8011 Fauntleroy Way SW) until 11:30 am. Here’s their schedule for the next four days – and here’s the tide chart. WADING POOLS OPEN – The wading pools scheduled to be open today, since the weather qualifies, are Lincoln Park until 8 pm (8011 Fauntleroy Way SW), Hiawatha 12 pm-6:30 pm (Walnut/Lander), EC Hughes 12 pm-7 pm (2805 SW Holden). LOTS MORE … for today/tonight/beyond, on our complete-calendar page! Ever wonder what happens AFTER successful crowdfunding for a project? West Seattleites Chad and Lillian Gray can tell you – in the photo they shared, they’re holding some of the results of last year’s Kickstarter crowdfunding to produce the card game they designed, Goatfish! It’s been distributed to backers and is now available to all. So they’re celebrating its release with a family-friendly event tomorrow night (Thursday, July 12th) at Meeples Games (3727 California SW), 6:30-9:30 pm: “There will be game decks available to play and an official Goatfish tournament with prizes!” You can also check out Goatfish in the Meeples Games booth at West Seattle Summer Fest this Friday-Sunday in The Junction. Will you be able to live independently in your current home or a home of your choice? How do you prefer to get information about services and community resources? Aging and Disability Services — the Area Agency on Aging for Seattle & King County — wants to know! You can help by taking the community survey at surveymonkey.com/r/V5WKDF8. This survey is for adults (age 18+), not just older adults or others who already use their services. Share the link with family, friends, neighbors, and colleagues of all backgrounds. The survey is available until the end of July. 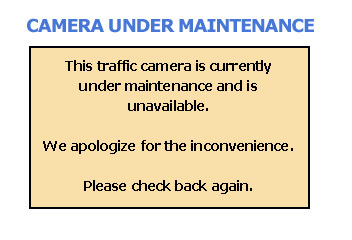 For alternative formats or other languages, e-mail aginginfo@seattle.gov. 7:20 AM: Good morning! 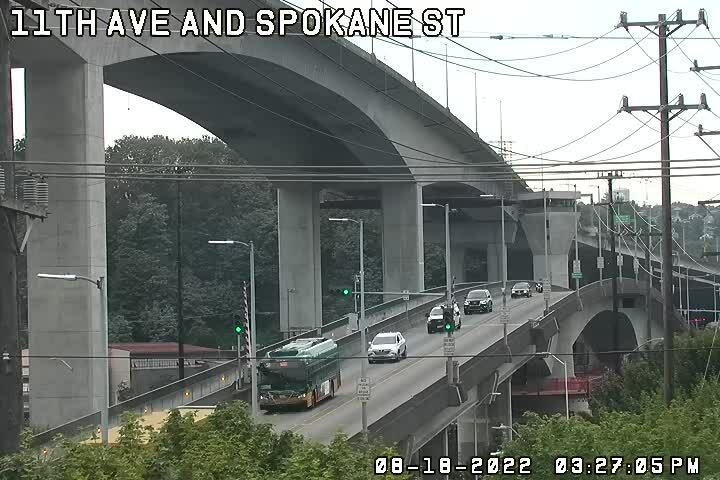 No incidents currently reported in/from West Seattle. 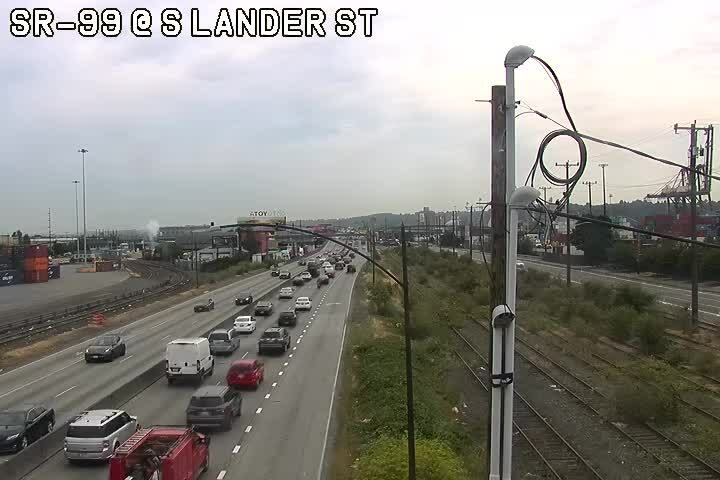 LOOKING AHEAD: Reminders that – starting 4 pm Thursday, California closes to vehicle traffic between Edmunds and Genesee, and SW Alaska closes between 44th and 42nd, through Sunday night, for West Seattle Summer Fest … Friday night brings the next major weekend-long northbound I-5 closure – you can still get to/from West Seattle, as explained here. You’ll also find some community orgs at GreenLife in Junction Plaza Park, too. Festival hours are Friday 10 am-6 pm, Saturday 10 am-6 pm, Sunday 11 am-5 pm, with music and beer garden running later the first two nights. See you at Summer Fest!